Less than six days to Nigeria’s Presidential elections, postponed from February 16, Nigerians once again are witnessing a taste of what another 4 years of power would be in Buhari’s Nigeria after the home of the lawyer to the frontline candidate for the opposition party Atiku Abubakar was illegally searched by officers of the Economic and Financial Crimes Commission on Monday evening. This did not come as a surprise to Nigerians who already know the antecedents of President Buhari. While nothing incriminating has been found in the official residence of Atiku’s counsel after a thorough search by the EFCC, it is worthy to note that this search is just another example of disrespect and disregard of human rights and the rule of law by this administration. Rule of law allows Nigerians to be presented with a search warrant by a court of competent jurisdiction, before any search is carried out on one’s property. Storming someone’s office or house without warrant and without presenting yourself to be searched first, has plenty risks— what if evidence is planted and later retrieved by the law enforcement involved? Recall that Dasuki and Sheikh Zakzaky have spent over 3 years in detention, due to the government flouting the orders of several competent courts of jurisdiction. The constant disobedience of court orders have unwillingly weakened Nigerian’s faith in the Judiciary and has led to flight of jobs from the company, since companies do not like business environments with weak judiciary. As what many would call a desperate last move, the EFCC’s unauthorized and unwarranted search of Atiku’s lawyer’s home is an indication that the APC are sensing a large defeat by numbers on Saturday and are willing to destabilize the opposition candidate and his team. Every real APC person (not the paid online trolls), will tell you that it will be a miracle if Buhari wins this election. The plan was to carry out election in 26 states and postpone 10 states, so those states will be used to recoup the margin of loss in the 26 states. However, this postponement came as a surprise to them and presently, they do not have any other plans. Nigerians however are to expect more of these desperation because every dictator is most violent at the point of his loss of power. What keeps the people going, is the knowledge, that if such dictators come back to power, they will be more brutal. Not surprising that intelligence from high placed sources suggest that the EFCC intends to arrest and detain several members and stakeholders of the Atiku Presidential Campaign Organization regardless of its impact on the results of the postponed poll. 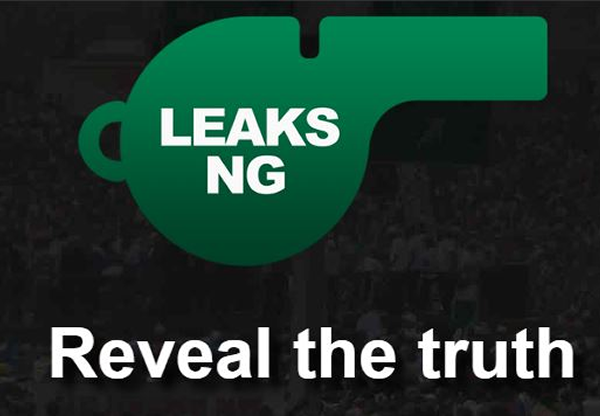 ☰This is our time to arise as Nigerians and end this incessant disregard of our laws! It has become too much.What’s the point of calling this a democracy then? The scariest part of all this is that he has nothing to lose if he comes back to power because his eight years will be up already.One can only imagine the havoc he will cause before abandoning the country.